Other than Jon Bernthal's intense performance as The Punisher, another talking point from the Netflix series are the many haircuts of Frank Castle. We can't help but notice either that a lot of The Punisher haircuts went on to be big trends in 2018. What is the hairstyle? We'll start with the hairstyle The Punisher is rocking in Season 2. This is a short quiff with a low fade on the back and sides. Jon Bernthal normally wears this with around a low #0.5-1 on the back and sides. And then he leaves around 2-3 inches on top, with all of the front of the hair pushed up and into the middle. How to style it? To get your hair like Frank Castle in Season 2 you don't want a product with any shine at all that gives a natural finish and a strong but reworkable hold. Use a matte finish product that adds plenty of texture like the Regal Gentleman Matte Clay. You could also use a pre-styler like a salt spray in damp hair before styling if you wanted even more texture. To see how to use the Regal Gentleman Matte Clay to style this hairstyle watch the video below (it should start at the styling for you 22:35). What is the hairstyle? The longest of all of the Punisher haircuts. It's around 4 to 5 inches through the front of the top and is probably about 2 to 3 inches at the back. Although worn quite messy and rugged, the sides and back are tapered slightly to make the haircut look cleaner. If you're thinking of growing out your hair then make sure you watch this video. How to style it? To wear longer hair similar to Frank Castle, sea salt spray like the Regal Gentleman Salt Spray will be your best friend. You don't want the hair to look too perfect so spray your hair with salt spray when slightly damp and get on your way! What is the hairstyle? Another classic Military haircut to follow for The Punisher. This is a high and tight short back and sides with a high skin fade. The top looks to have been scissor cut as opposed to being buzzed but is probably a similar length to a number 3 guard on the clippers. How to style it? With the hair being so short on top, you can probably get away with some mornings not doing anything at all to the hair. 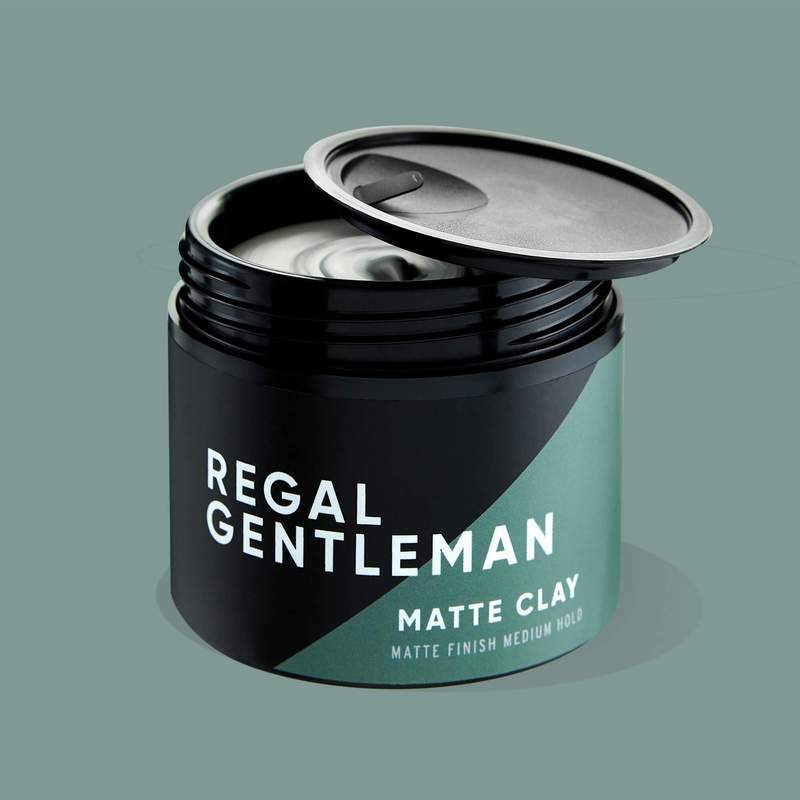 But when you do want to add an element of style to the cut or give yourself some added hold, use a matte finish product like the Regal Gentleman Matte Clay. You want something with a natural finish that adds texture. What is the hairstyle? A typical Military haircut for The Punisher here. This is a high and tight buzz cut. The sides are taken down to a skin fade and the top is around a 0.5 to 1 guard. As we said in our 2018 Buzz Cut blog post, most guys will wear the buzz cut similar this Summer with the top slightly longer than the sides - the fade will probably be worn a little lower than this though. How to style it? The best thing about this style is that you won't need to style it at all. You can get up in the morning and get on your way, without worrying about doing your hair. What is the hairstyle? Possibly one of the cleanest haircuts of The Punisher Netflix series and not as rough and harsh as some of the others. It's a French crop with a low skin fade on the back and sides. The top is around 3 to 4 inches long on top and has texture added through it to give it a messy look. The fringe is left natural and is worn straight down. How to style it? To replicate The Punisher's haircut it will be kept looking very natural with no shine and plenty of texture. To finish use a matte finish product like the Regal Gentleman Matte Clay. What is the hairstyle? Similar to haircut #4, this Frank Castle haircut is once again a crop haircut with a low skin fade on the back and sides. The real difference with this haircut is that the fringe is blunted and cut straight across. The top still has texture added through so that the hair doesn't sit so straight and looks messier. The top is also a little shorter than #5 and is probably around 2 inches. How to style it? The hair on this Punisher haircut is kept looking natural with very little shine. Use a matte finish product like the Regal Gentleman Matte Clay to finish. With the hair being shorter on top you won't need to use as much product as #5.